The Chinese Laundry Room is a a restaurant on Upper Street Islington, which unfortunately was damaged by a fire at the end of February. 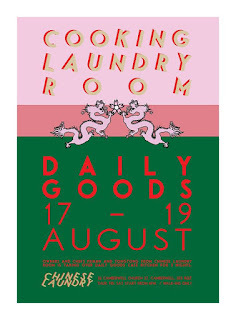 They have been holding pop-ups until they can re-open - they held one in March in Clapton - and are holding a second at the Daily Goods coffee shop in Camberwell from Thurday 17th to Saturday 19th August. There is no booking, and it look like it will be lots of fun - please support them! 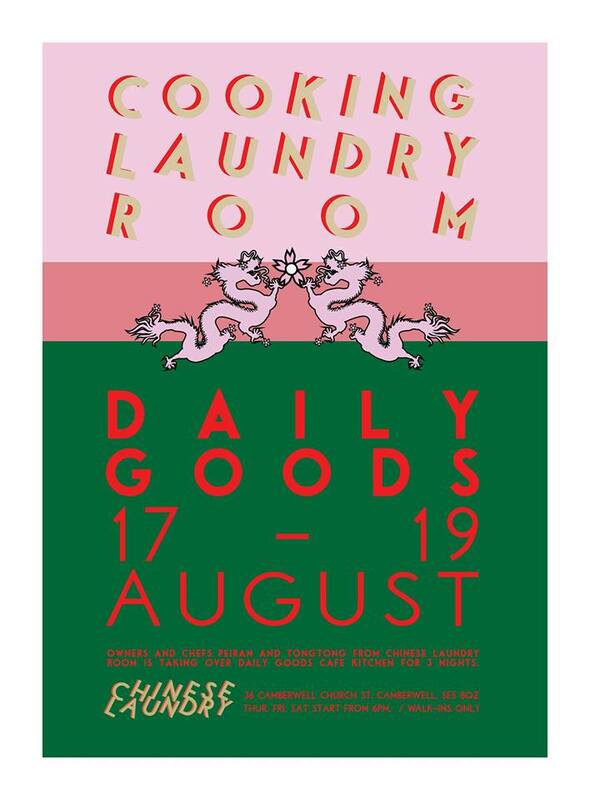 "We are hosting a series of Pop-up dinners at the lovely @dailygoodsldn in Camberwell from 17 -19 Aug, Thur- Sat. Pop in from 6pm, no reservations.🐲🐲🐲 We're bored cooking from home. Too many new dishes to share with you, can not wait!!!! Super excited, went mad on the poster as well😆❤️"